The Isle of Palms as we know it today has only been this way for a small blip in time. Known first as Hunting Island when English settlers met its friendly Sewee Indian inhabitants, and then as Long Island in the mid-18th century, the island slowly grew from a virtually unknown hunting and fishing ground to a backdrop for small but important roles in the Revolutionary and Civil wars. In the past 120 years – a relatively brief period of time in comparison – the island transformed from a virtually uninhabited haven to a thriving city of more than 4,000 residents and many successful businesses, and a magnet for beach-goers from around the world. 1. 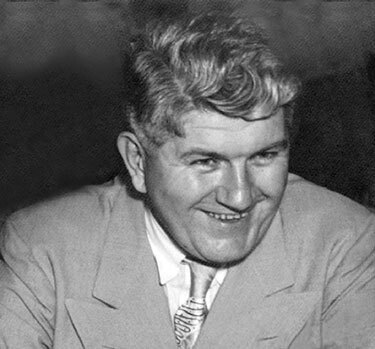 Dr. Joseph S. Lawrence: Dr. Lawrence began building a public amusement park on the island in 1897. 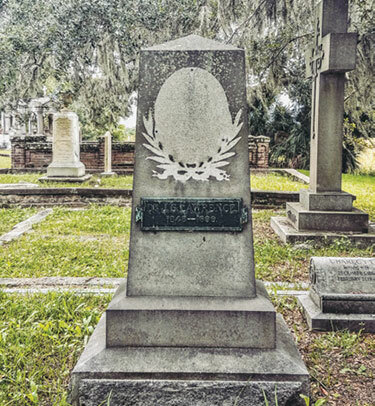 He was president of the Charleston Seashore Railway, which constructed nearly eight miles of tracks and trestles to the island, giving visitors the opportunity to board a ferry from Cumberland Street in Charleston to Mount Pleasant, then travel by trolley and rail to the new hot spot. The park boasted a popular pavilion, a merry-go-round and a restaurant serving meals for 50 cents. Later, Lawrence built a luxury hotel, offering visitors the chance to stay in paradise overnight and drawing people to Charleston for the sole purpose of visiting Isle of Palms. 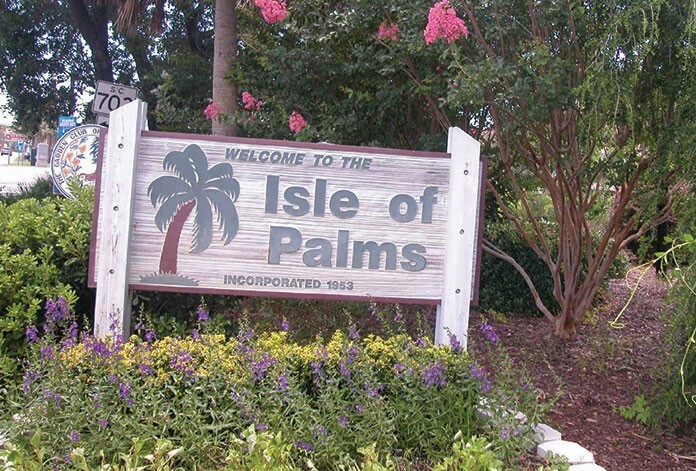 His development was a great success in its time, but Dr. Lawrence’s most lasting and influential contribution was a clever marketing move: He renamed Long Island to be Isle of Palms to draw more tourists. And that it did. 2. The Sottile Family: The Sottile name has thrived on the island quite literally since modern-day people lived on it. 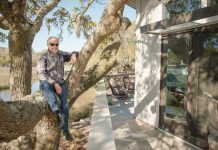 Nicholas Sottile built the first home on the island at 807 Ocean Blvd. His brother, James, opened another amusement park on the island. Its famed dance floor, pavilion and steeplechase games helped give the island the nickname, “Coney Island of the South.” It also boasted the biggest Ferris wheel in the world at the time, which could be seen from Charleston on a clear day. His successful marketing of the island as one of the South’s premier resorts helped make him one of the 50 wealthiest men in America at the time of his death in 1964. 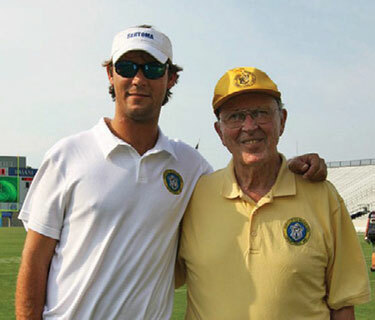 The Sottile family descendants continued making great contributions to Isle of Palms and were instrumental in incorporating the city, forming the Exchange Club of Isle of Palms and starting recreational programs. They have continued to be active in the island’s government over the decades. 3. J.C. Long: The years after World War I found the island in financial hardship, and time took its toll on the amusement parks and the island’s tourism as a whole. In 1944, J.C. Long, founder of The Beach Company, had a vision to develop the island and forever changed it when he purchased a large portion of the island and began constructing low-cost slab homes for veterans’ families, eventually tripling the number of island residences. 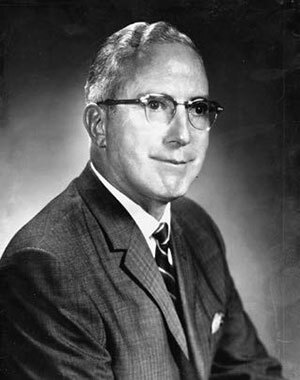 He made extensive improvements to the island’s infrastructure: paved roads, new bridges, garbage and trash collection, water and streetlights. His vision transformed the island into a thriving community and rekindled the flame for those searching for the ideal beach vacation. 4. Clyde Moultrie Dangerfield: Dangerfield, a World War II veteran, and his wife moved to the island in 1948, where they raised their six children. One of them, Tim Dangerfield, was the youngest person to serve on the IOP City Council at the time. 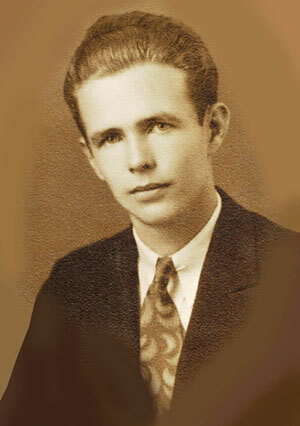 In the early years, Clyde Dangerfield was involved with many groups dedicated to service on Isle of Palms: He helped establish the first church on the island and was a charter member and volunteer captain of the Isle of Palms Fire Department and a charter member and past president of the Isle of Palms Exchange Club. Dangerfield served in the South Carolina House of Representatives for 18 consecutive terms and was instrumental in obtaining funds for the Isle of Palms Connector, which opened in 1993. It was named in his honor. 6. The Burgis Family: Members of the Burgis family weren’t the first business owners on Front Beach, but their legacy has been anchored there for decades. Wallace and Elizabeth Burgis opened a full-service restaurant on Front Beach in 1962, with just six stools and two tables. 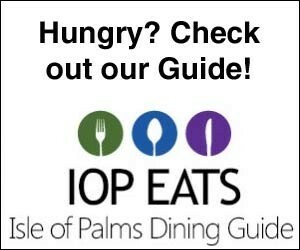 The popular Palms Seafood Restaurant was one of the first oceanfront restaurants in the Charleston area, serving up specialties such as fried creek shrimp and Mrs. Burgis’ famous coleslaw. When it was destroyed by Hurricane Hugo, it had grown to 12 stools and seated more than 250 people. Their sons, Malcolm and James, opened the Windjammer in 1972 on the site of J.C. Long’s former SurfDeck. 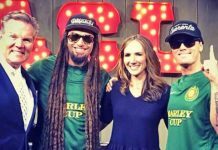 Beach views, beer, volleyball, live music and a touted “jam good time” have been drawing locals and vacationers to Front Beach for nearly 45 years. Malcolm Burgis serves on the Isle of Palms Accommodations Tax Advisory Committee. 7. 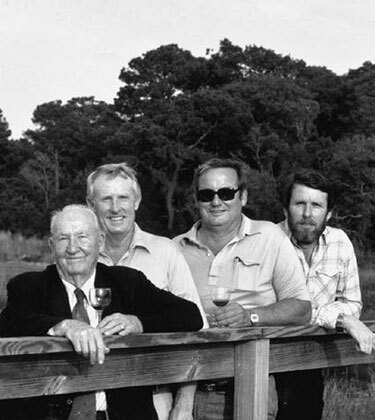 The Stone Family: In 1977, Don Stone bought Island Realty from Bill Walters, who gave the business its current name after purchasing it from Al Johnson, who was J.C. Long’s broker. Don Stone was an astute businessman and understood that what was good for Isle of Palms would be good for all businesses on the island. For nearly 40 years, the Stone family has been influential in steering the housing and rental market to be the flourishing business it has become. Today, his son Sandy and wife Peggy own the company, and his grandsons, Alex and Eric, also work with the company. They attribute their business’ success to decades of being active in the community they serve. 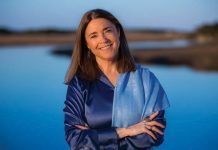 Sandy Stone also served on the Isle of Palms City Council from 2010 to 2013. 8. 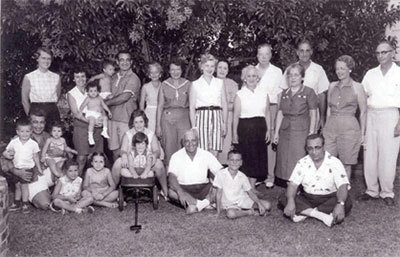 The Carroll Family: The Carrolls are another family that has influenced the island for generations. The matriarch, Kathy Carroll, ran the Isle of Palms Recreation Center in its infancy. With the help of the Women’s Auxiliary, she held fundraisers for new equipment, rather than asking the city for money. 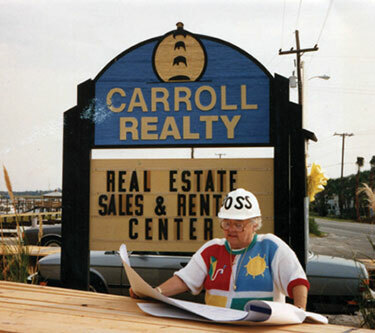 In 1981, she and her son, Jimmy, co-founded Carroll Realty, the island’s oldest owner-started real estate company, which was a catalyst for what the local real estate and property rental market has become today. Jimmy, now serving his second term on the City Council, remains an agent for Carroll Realty but sold the company to his nephew, Michael Carroll, and his wife, Ashley, who continue to run it with the same professional yet laid-back flare that Jimmy and Karen implemented from the beginning. Bringing it back full circle, Carroll Realty continues to play a big role in the Recreation Center by sponsoring a youth sports team every year since they opened. 9. Carmen Bunch: Hurricane Hugo defines time here: There is “before Hugo” and “after Hugo.” Carmen Bunch’s time to shine came in that rare in-between: during Hugo. 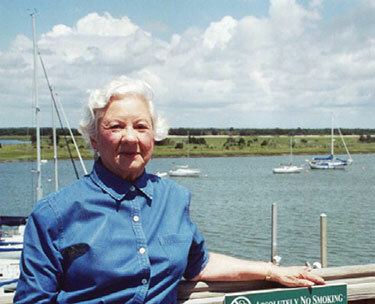 A Navy veteran, she moved to the island shortly after World War II and helped operate her husband’s family restaurant at Breach Inlet before working for the Charleston Naval Shipyard. She became increasingly involved in the island community and was elected as the island’s first female mayor in 1985. In a very controversial move, Bunch declared martial law in the hurricane’s aftermath – essentially not allowing any unauthorized personnel, even residents, back onto the island – to prevent looting and to ensure the safety of the community. While displaced island residents did not take kindly to her decision, she stood her ground and was re-elected for four consecutive terms before retiring in 2002. 10. Fire Chief Ann Graham and Chief of Police Tommy Buckhannon: Ann Graham and Tommy Buckhannon have both dedicated themselves to the safety of Isle of Palms residents and visitors for over 30 years. 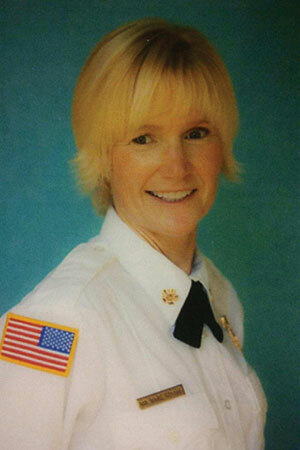 Graham started working with the IOP Fire Department in 1985 and became the first female fire chief in the state in 1994. Not only fighting fires, she is also involved in search and rescue operations for swimmers in distress and in drownings. A YouTube video made in 2011 even shows Graham rescuing a fellow officer and stranded swimmer amid 20-foot waves spawned by Hurricane Irene. 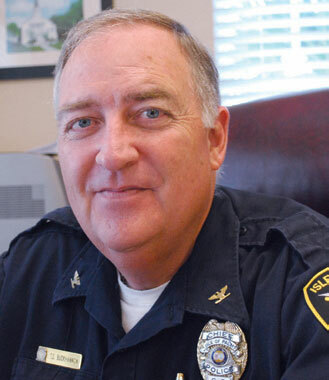 Chief of Police Tommy Buckhannon has been serving Isle of Palms residents on the police force since 1980, following in his father’s footsteps. He leads 19 sworn police officers and 11 civilian personnel in serving the island’s citizens on matters from crime prevention and criminal investigations to traffic enforcement, victim services, animal services and beach patrol. 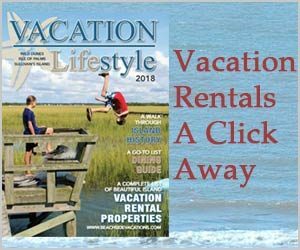 The dedication of Graham and Buckhannon to the safety of the Isle of Palms community and vacationers over the past decades is a driving force behind its welcoming and safe reputation. There’s an old saying that “it takes a village to raise a child.” But when there’s no village, it takes dedicated and passionate bright stars to build a city. There are innumerable more people who helped shape this island to be what it is today over the past 120 years: business owners, Council members, visionaries and ordinary residents and vacationers who have all fallen in love with this six-mile stretch of coastline. We hope this list helped shed some light on some of them.